Yes, today is Pi Day. On his birthday, we can honor Einstein by remembering some of his quotes. One of his most famous is about his math ability. Slightly less well-known is the following quote by Einstein, also about math. God does not care about our difficulty with numbers. He integrates empirically. But special for today, the following is a quote not from Eistein, but about Einstein. The quote is attributed to a Japanese cartoonist, Ippei Okamoto, and appeared in Driving Mr. Albert by Michael Paterniti. He [Einstein] has a quiet way of walking, as if he is afraid of alarming the truth and frightening it away. A beautful quote for a beautiful mind. Happy Birthday, Mr. Albert! So, I was thinking that I would boycott Pi Day this year by not posting anything about the holiday on the MJ4MF blog. Then I discovered a cool trick. It was attributed to Martin Gardner on a web site, but I can’t verify the source. I think I’ve read every book by MG, and I’ve never seen it before. Now, count the letters that remain in each subset: 3 1 4 1 6. 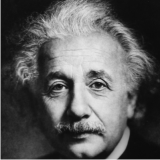 Today is Pi Day (3/14) as well as Albert Einstein’s birthday. Numerologists surely believe that’s no coincidence. 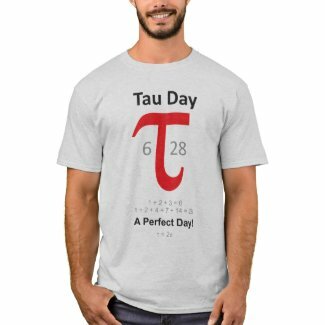 I’m like pi… irrational, but well‑rounded! What is the ratio of the circumference of a jack‑o‑lantern to its diameter? Pumpkin pi.